I sometimes get asked about what its like to create a blog or a website. My first answer is that it is a lot of work, but then I come back with, it is also a lot of fun. I love this blog, I love cooking and writing about it and I love photographing my creations. So to answer any question about blogging I set up this page with some information and list some of the companies I have used and some of the things I have learned running my blog. Whether you have been blogging for awhile or are want to create a blog, there are many considerations to take into account. Here are some trusted resources that I use personally. If you have any questions about how to start a blog, please feel free to contact me. I am happy to help. Blogging is a lot of fun but can also be a lot of work, so getting advice from those who have done it is a great start. Disclaimer: Some of these links are affiliate links for which I earn a commission if you purchase from these links. I personally use these products and recommend them because they are helpful, trustful, and useful in helping me put together and grow my blog. By purchasing through these links you help me to offset the time and cost of running this blog and I appreciate all your support. Please contact me if you have any questions about any of these products or services. 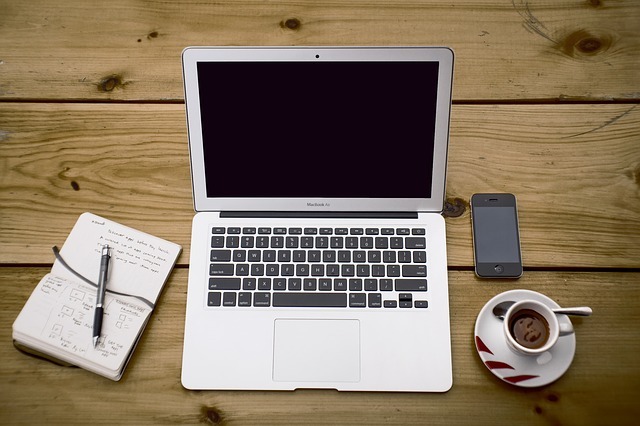 The first step to create a blog is to find a web host to host it. 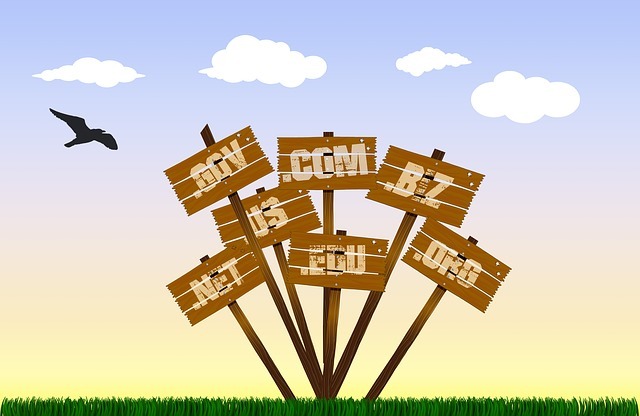 Web hosting is where you hire a company to host your website on their servers. There are tons of different companies out there that offer a variety of different services. These are some tried and true hosting companies that I have used. My favorite is my current company WP Engine. The reason I love it so much is that it is dedicated to WordPress hosting, it is a managed hosting service, which means there is dedicated hardware for my website. The service and support are the best I have seen so far. 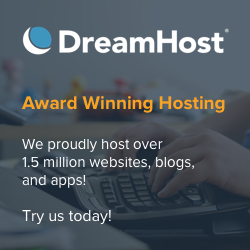 I have also had good experiences with both Dreamhost and Hostmonster for cheaper shared hosting, but you get what you pay for and WP Engine is worth every dime. The thing that is nice about the cheaper shared hosting is that it is a great way to get started if your traffic is low, but eventually, you will want to upgrade if your blog grows. 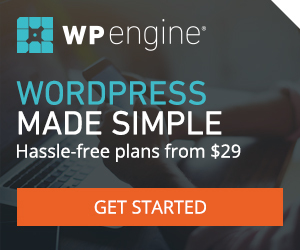 To create a blog that is easy to build, maintain, and update, I recommend WordPress.org on a self-hosted website hosting plan. You can create your own gorgeous site in a short period of time. This is how I roll. 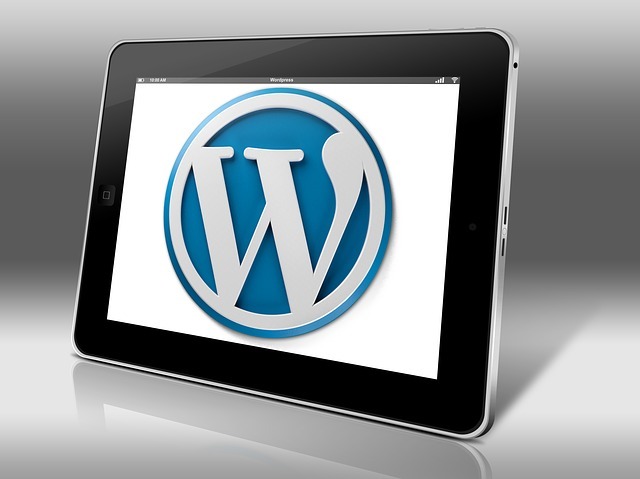 WordPress makes it much easier to create a blog. It gives you a site right out of the box and from there you can design around it. There are themes and plugins that you can add to create a very beautiful and compelling website. Of course, you still have to add your own content. Of course, if you don’t know the first thing about putting up a website or maintaining it, you can always hire someone to design it and well, I can do that for you. You can go to Soundwebvertising and see some of the sites I have created. And of course, this site was created by yours truly. I started out using the Food and Cook theme. It looked cool at the time, but after a while, there were things it couldn’t do. I then discovered that the way the theme was designed, was hindering my SEO efforts on my recipes. That was when I looked at some forums for help. It turns out that using a separate plugin for your recipes, was a better idea so that you could update the plugin as needed when things like SEO change. For this reason and after some discussion, I decided to redesign my site around my plugin. So then which plugin? There are a few that will do the job but I chose to go with Bootstrapped Ventures plugin WP Recipe Maker, because of its excellent support reputation and the fact that is was designed with SEO in mind. This plugin uses JSON LD. What does that mean, it means it structures it the data in such a way that Google can see it. Anything that gives your site a boost with Google is worth the time, money and effort. There are tons and tons of WordPress themes out there to create a blog with. The Theme I chose to work with it was Divi by Elegant themes. The reason why is that it is an excellent platform for Web Designers and since I build websites as a business, I figured it would make my life easier. Indeed it does. It is an excellent theme but beware, it is difficult to switch to a different theme if you use Divi. If you sign up for it, you most likely will sign up for life. Also, it is more difficult than themes that come right out of the box and look pretty. Divi is a design platform so you will have to do a little design. There is one other theme that is highly recommended by many food bloggers. I have to admit I have not used this theme, but I nearly did because it looks stunning and has some great SEO benefits. The theme is called [eafl id=”204588″ name=”Foodie Pro Theme” text=”Foodie Pro by Studio Press”]. This theme is built upon the Genesis framework which is highly regarded by many WordPress professionals and is an excellent looking theme. Again, I make no guarantee about this theme, I merely mention it since it is a very popular food blogging theme. You should check it out if you want a great looking theme right out of the box. The camera I use is an older Nikon D3100, the newer version of this camera is the Nikon D3400 [easyazon_link identifier=”B01LZE8P9M” locale=”US” nw=”y” nf=”y” tag=”thecu0a-20″]Nikon 3400 DSLR[/easyazon_link]. I have had my D3100 for several years now, and I can say without a doubt that it has been a true workhorse for me. While it is not the fanciest or most expensive camera, it is an excellent starter DSLR camera. DSLR cameras can get complicated so when you buy one, you want to take the time to learn how to use it. This camera is simple enough that learning how to use it won’t take all your time, yet complex enough that you have lots of creative options. Along with a good DSLR camera, you should get a good lens to go with it. I recommend something that gives you a wide F-stop range like this [easyazon_link identifier=”B004Y1AYAC” locale=”US” nw=”y” nf=”y” tag=”thecu0a-20″]Nikkor 50mm f/1.8 lens[/easyazon_link]. Since the f-stop on this lens goes down to f1.8 you can shoot shots at lower light levels which is important if you are shooting indoor photos. This also allows you to get deeper depth of field in your photographs. The problem with buying a lot of camera’s these days is that the documentation about how to use them is pretty lame. Most photographers will tell you to stuff that documentation in a drawer somewhere and go buy a book on how to use your specific camera. When it comes to learning how to use your camera, I recommend DavidBusch’s photography books. He explains things very well in plain English and was instrumental in helping me to learn my DSLR camera. Here is David Busch’s Nikon D3400, the camera I mentioned above. Don’t be left in the dark, learn all you can about your camera. Food blogger pro is one of my favorite and most useful resources. My blog would never have grown to what it is today without the help of Bjork and Lindsey. This is a subscription-only resource that costs $29.00 per month to join and let me tell you it is worth every penny. 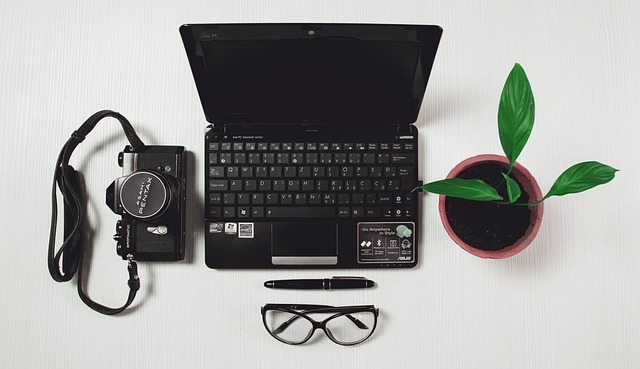 You can learn how to setup your blog in detail with the many helpful videos, there is a forum where you can connect with other food bloggers and many industry experts. Need to learn more about SEO, this is a great resource. I can’t recommend this site enough. The site is so popular that there is a waiting list to join, so click on the link and get on that waiting list. You won’t regret it. While you wait to join, you can still benefit from Food Blogger Pro. Click here to get on their mailing list and get some great tips sent right to your inbox. I love books and I love learning so I have read some great books on the subject of photography. Here are some I have found useful as a food blogger. [eafl id=”204608″ name=”Tasty Food Photography” text=”Click here to visit Pinch of Yum – Tasty Food Photography eBook”] – If you are new to photography this little eBook offers some amazing tips to get you up and running in food photography in no time. [easyazon_link identifier=”1118636724″ locale=”US” nw=”y” nf=”y” tag=”thecu0a-20″]Professional Cooking[/easyazon_link] – If you want to improve your cooking skills this is the book to do it. This is the same book used at Le Cordon Bleu cooking schools. This book is expensive, but it will improve your chef skills tenfold. [easyazon_link identifier=”1979286973″ locale=”US” nw=”y” nf=”y” tag=”thecu0a-20″]SEO 2018[/easyazon_link] – This book improved my pageview count exponentially. It is laid out in easy to follow steps and will help improve your SEO performance. Do some work upfront with SEO, because most of your traffic should come from search engines.